Unless you've been hiding under a stone lately, you'll be well aware that this September 24th marks the first Arthur’s Day. 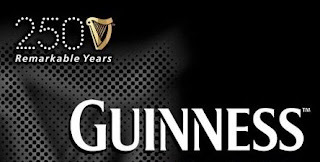 This is the annual celebration of the founding of Guinness. Of course this year is particularly special as it's the quarter century Anniversary, so there's a whole summer of events and activities ahead of us. The important one, however, is the day itself, and the incredible events that will be taking place. Tomorrow tickets go on sale at 9am, through Ticketmaster, for gigs at four venues and 28 pubs, all of whom will be playing host to some seriously cool international stars, here in Dublin to help us celebrate this new national holiday. Tickets for the four venues; Tripod, Vicar St, Whelan’s and The Academy, will be on sale for €17.59, and tickets to the 28 pubs will be €9. Also, all proceeds from ticket sales will be donated to the Arthur Guinness Fund. Nice one! In the pub venues punters will have the unique opportunity to see two well known artists and a special guest in the surroundings of one of Dublin's best pubs. Details of these artists and special guests will be kept secret until the night itself. Each gig will kick off at 17:59 in tribute to Arthur Guinness himself, and the signing of the 9,000 year lease on the St. James's Gate brewery. So what are you waiting for? Set your alarm, switch on a reminder, tell your best friend, send a tweet, write a blog or yell out your window. Whatever you do, just remember to get a ticket!